Today we will be analyzing TNT and FedEx’s National US services, National UK services, European, and international services. Fedex is based in the US and has a massive presence in the global shipping market. TNT is based in the Netherlands and has been present in the international market for many years. Below you can see the TNT network presented by the same company. Interestingly enough, TNT is now FedEx in the United States. FedEx’s US domestic services can separated into four categories. Next day delivery, second day delivery, third day delivery and economy delivery. FedEx First Overnight guarantees delivery the next business day by 8:00 am Monday through Friday. FedEx First Priority Overnight guarantees delivery the next business day by 10:00 am Monday through Saturday. FedEx Standard Overnight guarantees delivery the next business day by 3:00 pm Monday through Friday. FedEx 2Day guarantees delivery in two business days between 4:30 pm and 7:00 pm Monday through Saturday. FedEx Express Saver guarantees delivery in three business days by 4:30 pm. FedEx 1Day Freight guarantees delivery the next business day by 10:30 pm Monday through Friday. FedEx 2Day Freight guarantees delivery in two business-days by 12:00 p.m. Monday through Friday. FedEx 3Day Freight guarantees delivery in three business-days by 3:00 p.m. Monday through Friday. FedEx Ground guarantees delivery in 1-5 business-days by the end of the day Monday – Friday. Below is a table that compares TNT and FedEx’s domestic services within the UK. FedEx Economy offers delivery by the end of 1-3 business days Monday through Friday. TNT provides quick and cost effective courier services within the UK. Their services can deliver the package the next business day with timing depending on how much they want to spend. Next Day delivery guarantees delivery of the package by the next business day with the timing options 9:00am, 10:00am, and 12:00pm Monday through Friday. If it is essential a package be delivered on a Saturday, TNT also offers Saturday Service. This provides same day delivery or collection from a local TNT depot. FedEX for Europe with the Europe First service ensures a rapid delivery the morning after the collection of the goods. The timeliness of the service does result in a increased price. Europe Economy, on the other hand, represents the basic shipping service on European territory with delivery within 2-5 working days. These delivery times are more cost-effective. As you can see from the table above, TNT offers a wide variety of options in the European market. The most popular options are their Express Packages. These are so popular due to their balance of reasonable delivery time and very competitive price. The Economy Express 12:00 service is exclusive to the eurozone and is designed for greater convenience at the expense of prompt delivery. The International Priority service represents the fastest option for FedEx international shipments. Depending on the destination FedEx is able to deliver the goods the next morning in Europe, in a single business day in the US and Canada, and in 2 working days for Latin America. The same service can be purchased for less cost if you are willing to extend the time of delivery. The International Economy offer follows that one but arrives at your destination in 4 working days. 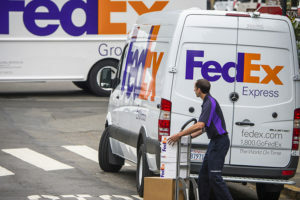 The FedEx Same Day service,thanks to the widespread distribution network in the US, allows the company to complete shipments on the same day the goods are picked up. The Ground service is an economic service designed for shipments throughout North America. TNT’s international service details are listed below. International Express Services are used to deliver goods to over 40 countries worldwide. Deliveries according to needs and price are scheduled by 9:00am, 10:00am, and 12:00pm with a maximum weight of 500kg. Air Freight Service is a convenient solution for large and less urgent international shipments. Choose the speed and the price according to your needs. We will keep you informed on all the transportation phases. 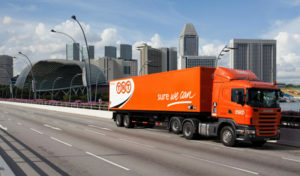 Road Freight Service is a convenient solution for large national and international road freight. The advantage of choosing a dedicated vehicle for point-to-point, or groupage transport, is they can stop at different points, consolidate the merchandise, and make the final delivery in one elegant solution. TNT has signed with Inpost a highly innovative strategic agreement. With this agreement TNT started the installation of the newest generation of automatic vending machines or Lockers. These allow the withdrawal and delivery of goods 24 hours a day, 365 days year. However, TNT only provides Lockers in Europe. In the US the locker services are provided by FedEx. At authorized stores, FedEx provides Pick up and Drop-off services that tracks the operation of UPS Access Points. FedEx and TNT customers can receive and ship parcels from selected outlets, handle withdrawals, and purchase supplies to be received at designated points of sale. Lockers work exactly like an ATM and allow you to access your shipments within seconds. When the customer buys online from a TNT-owned e-shop they can choose the Locker that is most convenient for delivery. As soon as TNT deposits the goods at the specified location, the customer will receive notification from TNT. Then the merchandise is ready for collection. Locker’s are a “win / win” option. 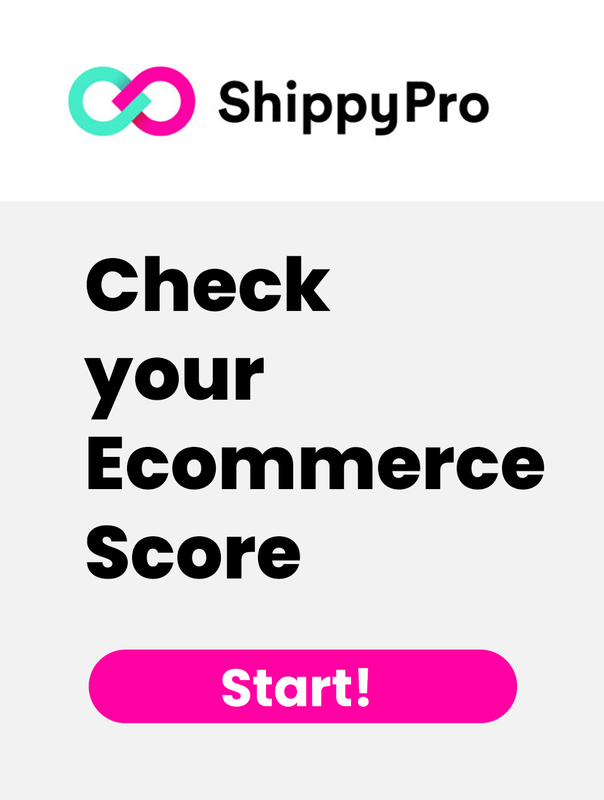 For e-commerce companies and customers who want to say goodbye to home expectations and negative experiences, but also for TNT in terms of process efficiency. For environmentally friendly businesses, TNT offer CO2 services. These allow businesses to track, analyze, and reduce their CO2 footprint. FedEX is also very attentive to the industrial sector and offers a wide range of support services to improve customer loyalty and satisfaction. FedEx Office offers other services to businesses including: printing, digital printing, computer rental and internet access. FedEx has a deposit service at authorized outlets, called Pick up and Drop-off. Through this service, FedEx customers can receive and send packages from selected stores, manage withdrawals and purchase supplies to be received at the designated point of sale. TNT vs FedEX: Reviews and Considerations! In this article we have introduced the main services of both TNT and FedEx, used heavily at a national and international level. To do this, we will show you the only meter of transparent judgment we have; the reviews of our customers who use TNT and FedEx daily to ship domestically and around the globe. TNT vs FedEx: Who do we choose to ship? 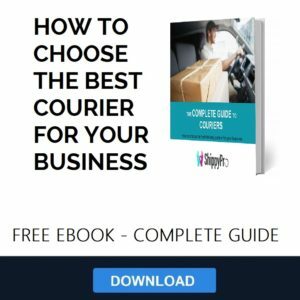 Next article Using Amazon FBA or 3PL to Fulfill Orders: Which is Better?